Gautam Menon is known for creating beautiful romantic moments on screen. He is also good at filming action and Sahasam Swasaga Sagipo is a film where he uses both these skills to good effect. 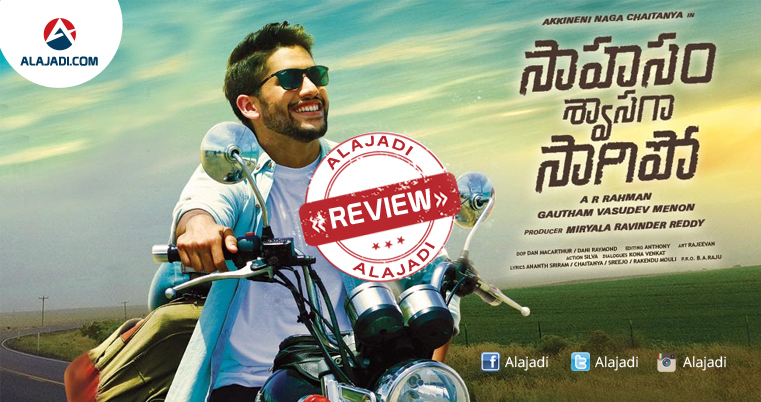 Sahasam Swasaga Sagipo starts off as a cool breezy romantic entertainer and turns into a nail biting thriller. 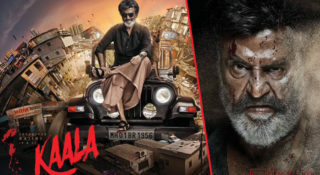 Rajinikanth (Chaitanya) falls in love with his sister’s friend Leela (Manjima), who stays in their house as a paying guest. Rajanikanth goes on a road trip to Kanyakumari along with Leela on his bike. In return they meet with an accident and life goes topsy-turvy after that. Now Rajinikanth and Leela have to run for their lives. Sahasam Swasaga Sagipo is an intelligent mix of various genres. It starts off as a romance/musical and turns into an action thriller. The mystery element keeps you hooked till the end. 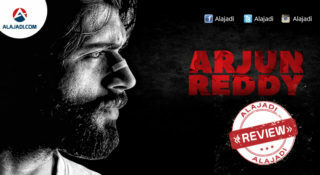 The film has Gautham Menon’s stamp all over it. The dialogue, voiceover, romance track and the action all bear his signature. Story moves at a very slow pace and seems clueless until the twist is thrown in. Naga Chaitanya: He is at complete ease playing the protagonist in this. He is extremely like able as the boy next door and the transformation to an action hero is commendable. Manjima: She is beautiful and impresses with her natural performance. Baba Sehgal is alright as the crooked cop. Supporting cast have done decent job. The guy who played Mahesh deserves special mention. Music by A R Rahman is very good and holds the film together. Production values are good and credit should go to the cameraman for showcasing the simple proceedings in an interesting way. Editing is sleek and so were the dialogues. 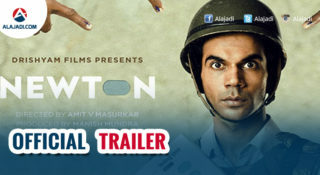 Coming to the director Gautam Menon, he has done a decent job with the film. He has tried many new things in terms of narration. Some work well but there are certainly other factors like the back to back songs which can go against the film. Had he handled the climax in a better way, the outcome would have been even better.